Ken Morris, Esq. is a Philadelphia-based attorney serving the agrichemical, specialty products, pharmaceutical and technology industries. With more than 30 years corporate and law firm experience, he offers counsel to companies dealing with litigation and regulatory matters, intellectual property issues, environmental compliance and dispute resolution, mergers, acquisitions and divestitures, and the establishment of business compliance policies and training programs. Morris is admitted to practice in New York, Pennsylvania, New Jersey, and District of Columbia. He is a member of the American Bar Association (Antitrust Section), the Chester County, PA Bar Association, and is an associate and law member committee for RISE (Responsible Industry for a Sound Environment). Morris is a frequent author and speaker on industry legal issues. His monthly column, “Legally Speaking,” is featured in Landscape Management magazine. In addition, he is accredited as an Executive Associate by the Institute for Independent Business (IIB/www.iib.org.ws). Previously, Morris served as corporate counsel to Bayer CropScience and General Counsel to its predecessor companies for 24 years. He began his career in pharmaceutical and crop science law in 1981, when he became General Counsel and Secretary of the U.S. subsidiary of a worldwide joint venture between British pharmaceutical companies Fisons, PLC and Boots, PLC. That enterprise was acquired by Schering AG in 1983 and he continued with responsibility for North America until 1994 when Schering and Hoechst AG formed Hoechst Schering AgrEvo GmbH, based in Berlin. As General Counsel and Secretary for AgrEvo USA Company, Morris continued to manage a law department responsible for all corporate legal affairs. In 2000, Schering and Hoechst joined Rhone Poulenc to form Aventis SA. The global agrichemical and specialty businesses formed Aventis Crop Science, which was acquired in 2002 by Bayer AG. Morris retired from Bayer in 2005. For more than 20 years, Morris has served as a neutral arbitrator for the American Arbitration Association and in 2006 was added to the panel of arbitrators for NASD. 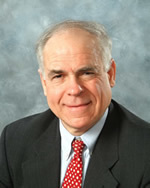 He has also served as an Adjunct Professor of Law at Carnegie Mellon University’s Graduate School of Industrial Administration and as a Mediator for the U.S. District Court for the Eastern District of Pennsylvania as well as a board member of the Delaware Valley Chapter of the American Corporate Counsel Association. Morris also serves as a Rule 1:40 Court-Approved Qualified Mediator under New Jersey's Court-Annexed program. Morris earned his J.D. degree and an M.B.A. in International Business from George Washington University, Wash., D.C., and a B.A. in History from Ohio Wesleyan University. Kenneth D. Morris, Esq. L.L.C.